The Summer Olympics are set to begin in August, and brands are hoping they can grab some of the excitement surrounding the games for themselves. Some brands, like Nike, have had problems doing this in the past, and aren’t looking much better this year. 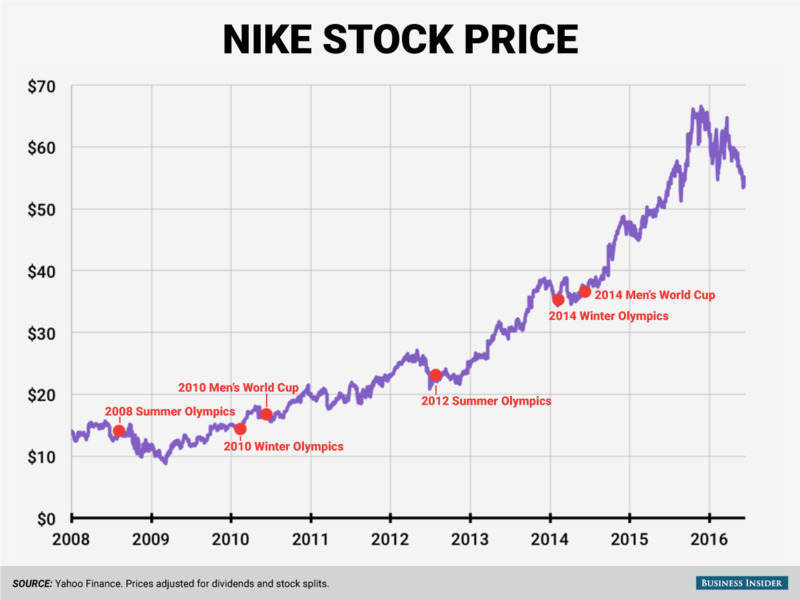 “Although many investors seem to view the Olympics as a positive catalyst for (Nike), the stock tends to react poorly heading into the event (somewhat surprisingly),” Tom Nikie, senior analyst at Wells Fargo said in a research note. Before the 2012 London and the 2008 Beijing Olympics, Nike shares fell 9-10%, according to Nikie. These moves are counter-intuitive, as the athletic apparel company could be expected to receive a bump from the sports heavy event. Nike heavily advertises during the events, which is ultimately why Nikie is worried about the company’s performance. The heavy spending on advertising announced in earnings releases prior to the games often shock investors, and are a potential reason for the decline. “All in, we observe that Nike shares have averaged declines of 3-4% on the earnings release immediately before a major sporting event,” Nikie said. The company is expected to release its fourth quarter earnings June 28 after the market close. These losses often take Nike about 6 months to recover from. Though Nikie predicts a slump prior to the games, the global apparel power isn’t necessarily in trouble. “Nike is one of the strongest consumer brands in the world, with ongoing opportunities for sales growth and margin expansion,” he said.